This post doesn't want to be a true review about the ez430-Chronos. Internet is full of these reviews and other resources related to this interesting gadget. AFAIK, this is the only programmable wireless watch currently available in the market. 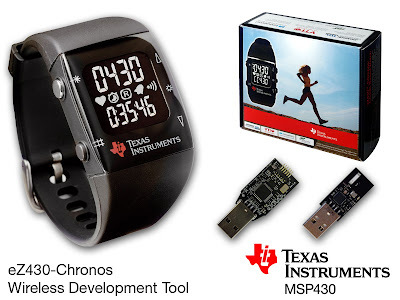 Texas Instruments sells this watch as a way of promoting their cc430 wireless microcontrollers in form of development kit. This kit contains not only the Chronos watch but also a programming interface and a CC1111-based wireless stick, probably capable to act as RF gateway for SmartRF Studio. Not bad at all for USD49, shipping costs included. Besides the available on board sensors (temperature sensor, barometer and accelerometer), the low-power CC430F6137 has an internal CC1101 RF front-end. Thus, our panStamps will be able to natively communicate with this device, taking advantage of the full list of features provided by the CC1101 IC. Regarding the development tools, there is MSPGCC4, a gcc-based compiler for the ez430 microcontroller and a specific open-source project called OpenChronos about the Chronos. 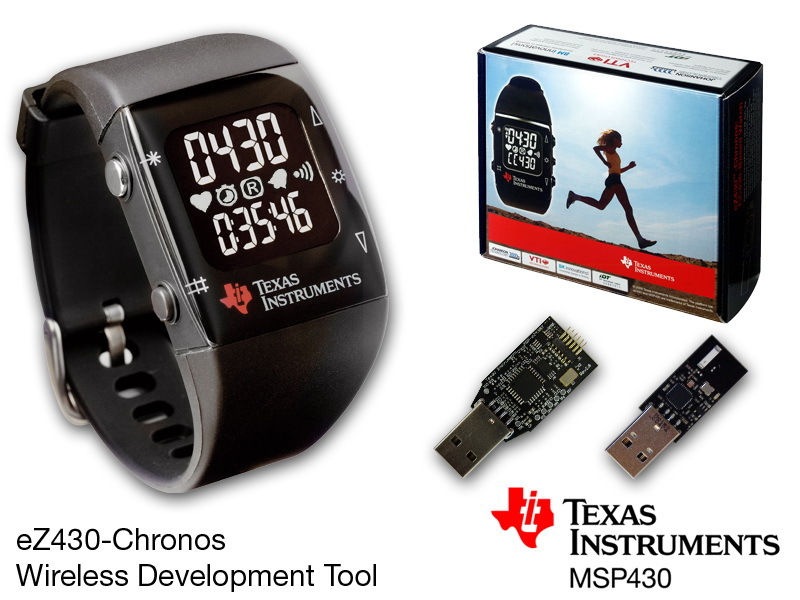 All these free resources can be used to develop applications without size limitations for this wireless watch. But, how could panStamps and ez430-Chronos' talk together? It's obvious that we'll need a common protocol for the wireless data exchange, but which one? This is a different subject and will be discussed in the next post. Stay tuned!